Ghislain ZANGMO TEFOGOUM started his career as a Research and Teaching Assistant at the Department of Earth Sciences, Faculty of Sciences of the University of Dschang, from March 2010 to February 2012. From March 2012 to November 2013, he became an Assistant Lecturer at the Department of Hydraulics and Water Management in The Higher Institute of the Sahel of the University of Maroua. Further, on the opening of the Faculty of Sciences in the same University, he transferred in December 2013 to the Department of Earth Sciences where he became Senior Lecturer in May 2017. 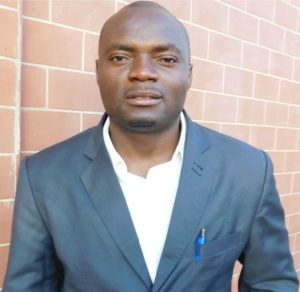 After the IAG Regional Conference held in Addis Ababa (Ethiopia) in 2011, he created an informal Cameroonian Association of Geomorphologists (CAG) to promote the geomorphological sciences. At that time, he was successively designated as the National Representative for: the Young Earth Scientists Network, the IAG and the African Geoparks Network. At the end of 2017, the CAG obtained formal status, including more geomorphologists from all-over the country. Ghislain ZANGMO TEFOGOUM obtained the Ph.D degree in Earth Sciences at the University of Dschang in December 2016. He teaches courses of applied volcanology, geomorphology, magmatism, petrology of magmatic rocks and general geology. Volcanic and geomorphological hazards, characterization and mapping of hazards and assessment of associated risks in volcanic areas.